What would your life be like without a smartphone or even a car? You realize how useful and convenient these things are only when they have disappeared. This makes you realize what impact the achievements of electrical engineering have and will continue to have on our daily life. Without those Microsystems' technologies, no state-of-the-art diagnostic methods, e.g. computer tomography, could be further developed. Power electronics and energy technology play an important role in providing the application of renewable energies. This and much more has been developed by engineers who, in the majority of cases, studied electrical engineering. Being part of the Faculty of Electrical Engineering, Computer Science and Mathematics, we offer with our 15 professorships a broad variety of courses, which give a fair view of the diversity of electrical engineering, also in combination with other disciplines, such as computer science, business sciences or educational science, resulting in the programs computer engineering, industrial engineering with business studies focussing on electrical engineering or electrical engineering having an educational part. One of the special features of electrical engineering in Paderborn is the close contact between students and the teaching staff. 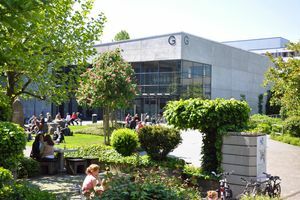 The latest CHE Ranking praised the excellent support being given to the students, the comprehensive range of study programs as well as the university's facilities. The Paderborn department of electrical engineering provides an extensive and diversified choice of courses within electrical engineering. 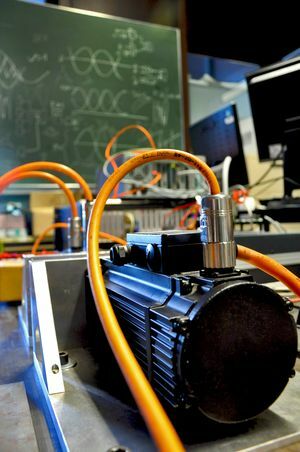 Within their first semesters, new students will encounter the principles of electrical engineering, mathematics, physics, mechanics and computer science in order to establish a basis and common standards for all students in scientific disciplines. It is therefore not vital whether you have already done any programming, participated in advanced courses for mathematics or chosen physics until high school graduation. For further details concerning your first semester in Paderborn, browse the course schedules. Our university has about 17,000 enrolled students and a diversified campus life! The Students' Services Corperation, for instance, provides accommodation close to the university and, according to a recent survey, our refectory holds a top ranking in Germany. As for leisure and social engagement, you may get involved in our sports and cultural events. Last but not least, there is the famous annual university party, which is one of the largest of its kind in Germany. As a student you will be granted access to our computers and laboratories, which have several hundreds of well-equipped work places accessible 24 hours a day. In addition, via your notebook you will be given access to wireless network on campus. At the beginning of your studies, you will receive a user ID by which your personal email address, web space and additional services are made available to you free of charge. 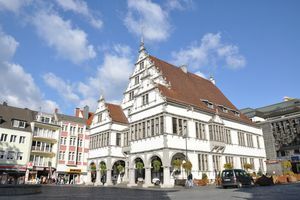 The City of Paderborn and its outskirts offer excellent living conditions. Besides versatile leisure activities for students, Paderborn offers a wide range of cultural events within its charming cityscape. Here, accommodation is still affordable; distances are short and the outskirts can be reached comfortably by public transport. Your semester ticket in combination with the additional NRW semester ticket gives you free and unlimited travel throughout North Rhine-Westfalia by public transport!